Special Contribution by Lucy Wyndham! Our world is becoming ever more fast paced, especially from the point of view of technology. Whilst it’s easy for many people to simply adapt and move forward, for some people change is hard. If you’re someone who is on the Autism Spectrum, the workings of technology can be easy to get to grips with, but often, the noises, lights and stimulation associated with them can be absolutely unbearable, especially in a commercial or workplace setting where frequent communication and verbal interaction can also provide daily challenges. Is there anything at all that can be done to make such spaces ASD friendly? Many people find they can work in an environment with background chatter, strip lighting and other extraneous noises from equipment like air conditioning machines or fans. People on the ASD spectrum may find their ability to work in such conditions is either impaired or totally impossible. Often all that is needed are lighting options with dimmer switches and computer monitors that can be fixed with shading screens. Accommodations made by employers such as quiet work spaces, or escape rooms that the ASD person can go to for time out can make all the difference, too. Offering equipment like noise cancelling headphones can really help in situations where there is little other chance of background noise being cut totally. Routine and structure play a key role in all of this too. Unexpected noises, lighting changes and even things like meetings over-running or taking place unexpectedly can cause issues. Autistic people need to be informed of changes and anything that will affect how their day runs as soon as possible to avoid meltdowns or shutdowns. Making sure there is a noticeboard well placed in the office with timetables and clearly written instructions can help. Some commercial shops and malls have been adapted and now offer “autism friendly hours” now, in which shoppers who are on the ASD spectrum can go in and know that the place they are visiting will have been made quiet, there will be no background music playing, little in the way of distracting lighting and background noise will be low. This practise can also be carried over into the workspace too, with employers offering the same kind of adjustments, so that non-ASD people can see how their ASD counterparts benefit from having a quiet, low lit office. 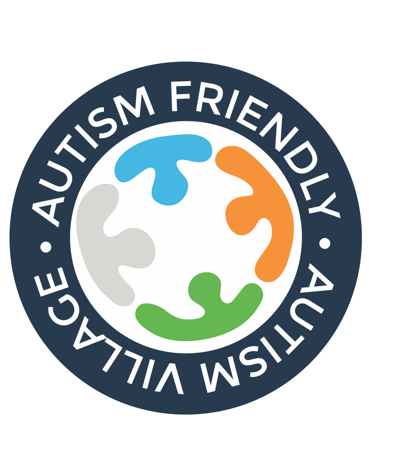 Be the first to comment on "Making Commercial and Working Spaces Autism Friendly a Guest Post by Lucy Wyndham"